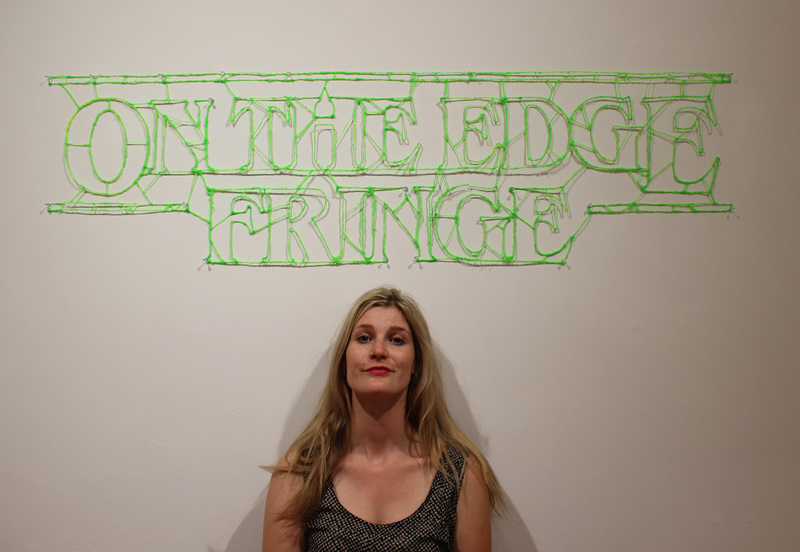 The ON THE EDGE fringe festival is up and running expanding their yearly actions further than ever before. This year is the 4th incarnation of the festival has changed to now showcase theatre, visual art and all things in between as it has created a parallel program called Duality in the WKP Kennedy Gallery. The Fringe Festival itself is scheduled to take place August 15th – 19th with 10 presentations of staged performance and a 1-night comedy festival, taking place Thursday August 17th starting at 9:30pm at the Capitol Centre. The other program is the “Duality” program which is a Multi-Arts incubator featuring local and national artists engaging in a variety of arts practices. Windatt formed their curatorial practice around challenging existing structure. In the past they have worked towards breaking down boundaries and establishing ways that the public question boundaries. Following this practice, the WKP Kennedy Gallery and the Capitol Centre itself are scheduled to be slowly taken over by more and more artistic interventions creating a space where art is alive. As the show progresses, more and more artworks will be installed outside of the gallery space into the hallways of the Capitol Centre Theatre eventually leading to the Fringe Festival when performances begin. Works installed will include a wide spectrum of multi-arts installations, immersive media arts environments and spaces to accommodate pop-up performances all creating one overwhelming experience of alternative expression. The Duality Incubator is up and running now but a formal reception will be held on August 9th at 6:30pm with many of the artists present. There are a few special arts activities planned for that night with refreshments being provided. For more information about the ON THE EDGE fringe festival and the “Duality” Incubator, please visit the festival’s website. If you are interested in coming out to see local artists creating strange and inviting environments or being challenged by the things you see, perhaps a visit to the WKP Kennedy Gallery is in your near future.